The hand and wrist consist of dozens of bones, joints, ligaments, tendons, and muscles that need to work together seamlessly in a variety of positions hundreds of times a day. As such, they often require highly specialized medical care when they become injured. Carpal tunnel syndrome is a condition that causes numbness, tingling, weakness and other symptoms in the hand and arm because of pressure on the median nerve in your wrist. The median nerve and several tendons run from your forearm to your hand through a narrow passageway on the palm side of your wrist called the carpal tunnel. The median nerve controls movement and feeling in your thumb and first three fingers (not your little finger). Pressure can come from swelling or anything that makes the carpal tunnel smaller such as health problems (hypothyroidism, rheumatoid arthritis, and diabetes), repetitive hand or wrist motions and pregnancy. Tingling, weakness, numbness, or pain in the fingers or hand are some of the symptoms of carpal tunnel syndrome. They most often occur in the thumb, index finger, middle finger, and half of the ring finger. Some people experience pain in their arm between their elbow and their hand. Proper treatment can relieve the tingling and numbness and restores wrist and hand function, starting with nonsurgical therapies. Peripheral nerve injuries happen to more than 1.4 million Americans every year, with nearly 900,000 needing surgical intervention. In the past, surgeons have used the patient’s nerves from another part of their body to repair the damage. Now surgeons at Florida Orthopaedic Institute are pioneering nerve repairs with new products from AxoGen. Learn more about how AxoGen’s products are helping with peripheral nerve reconstruction. The terms “wrist fracture” or “broken wrist” can be confusing or unclear because there are many bones in and around the wrist. The most common type of wrist fracture is a distal radius fracture, which is a break near the wrist end of the long radius bone in the forearm. This fracture usually occurs as the result of a fall onto an outstretched hand. There are several other possible types of wrist fractures that can occur. 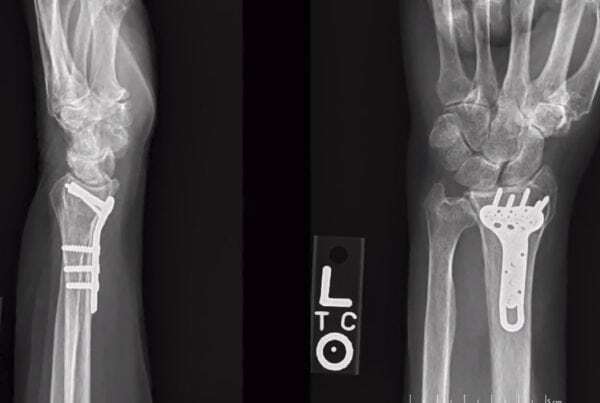 The second most common type of wrist fracture is a scaphoid fracture. In the wrist, there are eight small round bones that sit in two rows, including the scaphoid bone. The scaphoid bone is near the base of the thumb, just above the long bone of the forearm, the radius. Scaphoid fractures almost always are the result of a fall onto an outstretched hand but can also occur as the result of sports activities or car accidents. The flexor tendon connects the muscles to the bone in your hand. When there is a strain on the tendons flexor tendonitis can occur, making it difficult and painful to bend your thumb or fingers. Sometimes flexor tendonitis can stop hand movement altogether. WALANT (Wide Awake Local Anesthesia No Tourniquet) is an operating technique that uses two medications (lidocaine and epinephrine) for some types of hand and wrist surgeries in a safe and painless manner. This technique eliminates the use of tourniquets and general anesthesia. WALANT has many advantages including no preoperative testing, no costs associated with anesthesia, no need for an IV, and a lower overall cost. Even though most of our movements don’t cause problems, minor injuries to the finger, hand, or wrist that cause pain or swelling are common. can develop from everyday wear and tear, injuries, or overuse. Some of the more common finger, hand, and wrist injuries include bruises, sprains, specific injuries to ligaments (skier’s thumb), injuries to tendons (mallet finger), strains (pulled muscles), broken bones (fractures), crushing injury (leading to Compartment Syndrome and dislocations. 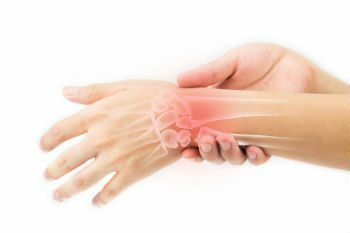 Ulnar neuritis, also known as cubital tunnel syndrome, is an inflammation of the ulnar nerve in the arm that causes numbness or weakness in the hand. The ulnar nerve gives feeling to the little finger and half of the ring finger and is more commonly known as the “funny bone.” The ulnar nerve controls most of the small muscles in the hand that help with delicate movements and some of the bigger muscles in the forearm that help create a strong grip. Activities that place constant pressure against the ulnar nerve at the elbow or wrist can cause ulnar neuritis. It can also be caused by repetitive motion at the elbow or wrist. 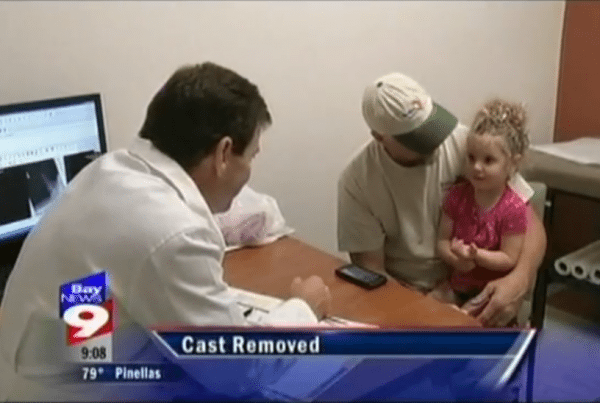 Targeted Muscle Reinnervation (TMR) is a surgical procedure that gives amputees easier, more intuitive prosthesis control. The nerves to spare muscles of an amputated patient are cut and/or de-activated (denervated), then reinnervated with residual nerves of the amputated limb. EMG (Electromyography) signals of the targeted muscle can be used to drive motorized prosthetic devices. The reinnervated muscles serve as biological amplifiers of the amputated nerve motor signals, allowing for better control of sophisticated prosthetic arms. When a tendon — the thick fibrous cords that attach muscle to bone – is inflamed or irritated, the condition is called tendonitis. It causes pain and tenderness just outside a joint, like the wrist. Tendonitis can occur in any of your tendons. Wrist tendonitis is a common condition characterized by irritation and inflammation of the wrist joint where many tendons surround the joint. Wrist tendonitis usually affects one of the tendons, but it can also involve two or more. Wrist tendonitis often occurs at points where the tendons cross each other or pass over a bony prominence. Wrist sprains can also result from accidents or falls around the home or work. They are also common and painful sports injuries. Our natural instinct is to put our hands out to break a fall. In doing so, the wrist can get bent back, stretching, twisting, or tearing the ligaments connecting the bones in your wrist and hand. Wrists can also be sprained when there is a direct blow to the wrist. 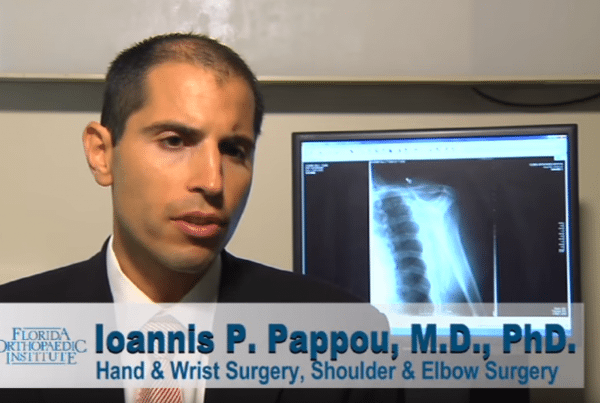 To learn more about the symptoms, diagnosis and treatment of wrist sprains, click below. 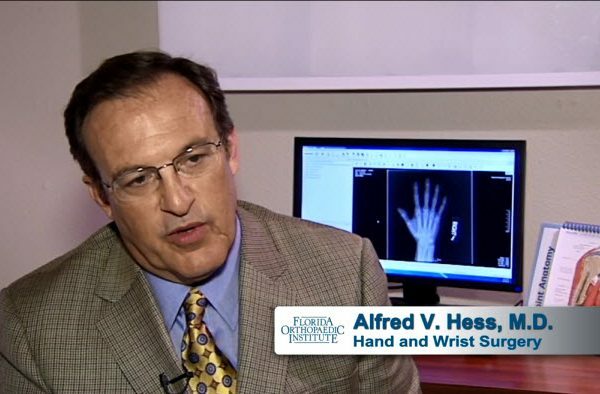 Florida Orthopaedic Institute’s Hand & Wrist center features the Bay Area’s greatest number of years of combined experience in hand and microvascular surgery. Our fellowship-trained microvascular surgeons provide the capability for complex reconstruction, as well as free tissue transfer and limb replantation. 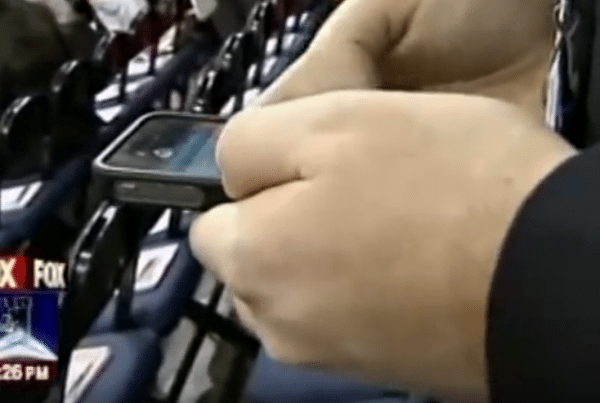 Dr. Stone talks to Fox 13 news about texting thumb, a condition he says can have your thumb running marathons every day. According to Dr. Stone, one pound of stress at the tip of your thumb multiplies dramatically as it travels up the bones, muscles, ligaments, and tendons of your arm. 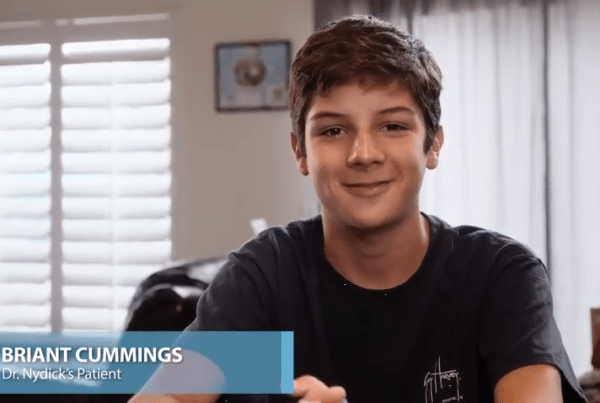 Doctor Profile: Dr. Alfred V. Hess, M.D.